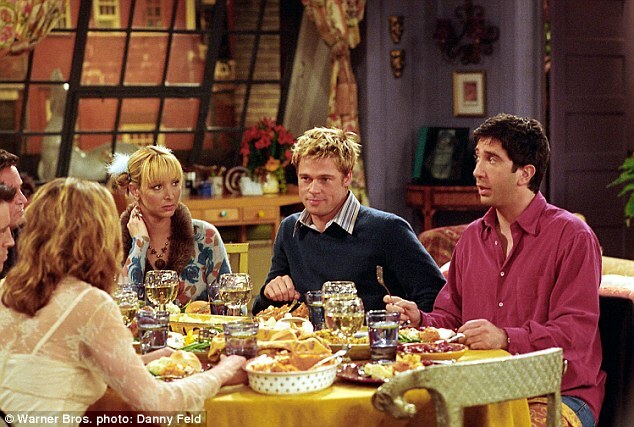 The episode continues the series’ annual thanksgiving themed tradition with a guest-star Brad Pitt as ‘Will Colbert’ who was a part of ‘I hate Rachel Club’ with Ross Geller in the series. This is an episode where Bruce Willis plays Elizabeth’s father “Paul Stevens” who develops an instant dislike for Ross. The double length episode on Super Bowl has the main plot where Ross searches for his monkey Marcel. Chandler meets an attractive make-up artist Susie who turns out to be his school-mate from elementary school. The character of Susie is played by Julia Roberts. The episode is where Monica is about to tell her friends about her relationship with Pete when she is interrupted by two men. “Tomas” played by Robin Williams and “Tim” played by Billy Crystal who ask all of them to make some room on the sofa because all the other seats in the café has been occupied. In the two part finale, Rachel realizes that she is still in love with Ross, her ex-boyfriend and boarded a last-minute plate to London to interrupt his wedding. High on beverages, she tells her romantic saga to all the passengers until one passenger played by Hugh Laurie takes an exception. This episode deals with Phoebe’s Bachelorette where Phoebe expected a stripper but Monica and Rachel didn’t arrange for one. So when they find a stripper, he turns out to be 50 year old. In this episode, Phoebe has trouble bonding with her half-brother Frank, whom she had discovered before. Isabella Roselini guests stars as herself when she walks into Central Perk for coffee. In this episode, a musician, The Pretender’s Singer starred as Phoebe’s competitor in Central Perk as “Stephanie”. 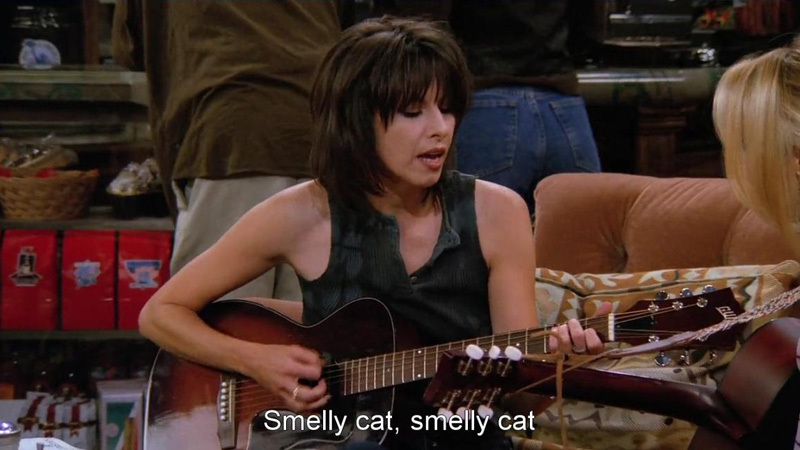 She performed Angel Of The Morning and when Phoebe tried to teach her Smelly Cat, she couldn’t get hang of it. Charlie Sheen plays Phoebe’s three-day lover as ‘Submarine guy’ Ryan, a guy in the navy that she used to go out with. When Phoebe gets chicken pox from Ben, Ryan also gets the disease for as he doesn’t want the disease to get in between between their relationship. And the itching drives them both crazy! Joey gets selected for a part in the movie about soldiers in World War I starring with a famous co-star “Richard Crosby” who is played by Gary Oldman. While Joey rushes on to the set for the scenes to get to the wedding on time, Richard keeps spitting on his face and gets high and makes it difficult for him to be on time. While Ross was up and about searching for his monkey Marcel, he discovered that his monkey has been working on a film set in New York. Meanwhile, Monica and Rachel meet the movie’s star Jean Claude Van Damme and compete for his attention.